Chris grew up in Pratt, Kansas, and has undergraduate degrees in biology, respiratory therapy, and the physician assistant program. 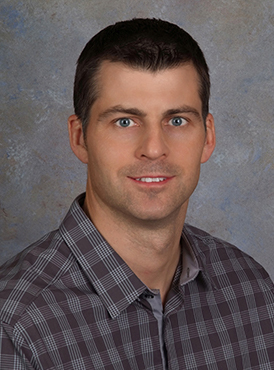 He worked as a PA in Manhattan, Kansas before joining Midwest Orthopaedics in 2008. Chris has a special interest in sports medicine. He is a member of the Kansas Academy of Physician Assistants (KAPA), the Physician Assistants in Orthopaedic Surgery (PAOS), and the American Academy of Physician Assistants (AAPA). He is married with 3 children.